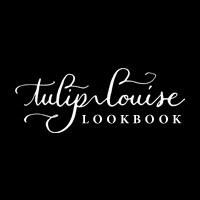 tulip.louise: packing for fashion week. Well darlings, it's that time again, New York Fashion Week is upon us and I am jetting off to the city to get a piece of the action! I love the hustle and bustle that surrounds the true art and beauty of fashion, such a special time celebrating these incredible, fabulous, wearable creations and works of the imagination...what could be better? Now, as much as I wish I could pack you all up nice and neat into my suitcase and whisk you away to NYC, I unfortunately cannot. That said, I wanted to offer you the next best thing, all my best tips and tricks for packing [and surviving] Fashion Week! A Mophie! The Mophie comes in many shapes and sizes, but is most commonly seen as a case that doubles as a charger for your smartphone! Why is it such a necessity? Well, my very first season at NYFW I was like a fish out of water! I was completely overwhelmed while working backstage at Oscar De La Renta (no pressure...) and yes, you guessed it, my cell DIED!! I was there doing fashion correspondence for my friends at Revlon + Rue Magazine, when Eva Chen, Editor in Chief of Lucky Magazine, spotted me trying to snap photos with my iPad (#facepalm)... She was so sweet, took pity on me and shared with me the great wonder of Mophie. From that moment on the Mophie has been my constant Fashion Week companion. We all know that no outfit is complete without shoes, but don't save them for last when it comes to packing! In order to conserve the most space in your luggage pack up your heels, boots, flats or sandals first! Tuck them to one side of your bag, saving you the most room and ensuring that you've got all your favorites with you! Taking any specialty items with you? Avoid the inevitable ironing and pack those special pieces in a garment bag or tissue. It'll save you time and work (and frustration) when you're running back and forth between shows and after parties! Dehydration is easy when you're traveling, especially in the hot, hot city! Stay on top of your water consumption this time by making sure you've always got a bottle of water by your side, it really is a girl's best friend. Whether you buy bottles or bring your own to refill, it doesn't matter, just make sure you're getting loads of H2O. Trust me, you'll look better, feel better and never wake up with a killer dehydration headache. In a city as hot and smoggy as NY I need something to keep my face fresh and clean! I never leave home without my Boots No7 Facewipes. They're low maintenance, gentle and even though they hail from The UK, you can pick them up at your nearest Target. Save yourself from stress on those days when you're running late and haven't touched your hair by bringing a hat! packing tip: to keep your hat from getting wrecked in your luggage, wear it on your travel! Plus it'll make you look fabulous and mysterious when you're really just trying to hide signs of travel exhaustion! No good trip is complete without a bangin' playlist! Pre-load your favorite travel jams and whatever you do, DO NOT forget headphones! Airports and airplanes have a tendency to feel excessively chilly; protect your toes from the cold by wearing closed toed shoes on your travel day! My personal favorites are ballet flats, smoking slippers and converse. Your feet will thank you for wearing roomy, comfortable shoes instead of something strappy and binding (less pain for you if your feet swell on the plane!). Lastly, don't ignore one of your best accessories, friends! I recommend a good gel manicure, gel polish is perfect because you can do it at home, it's long lasting, it's durable and it looks fab! This week I'm wearing OPI's "I Theodora You" on my fingers and OPI's "Black Onyx" on my toes! Alright babes, now that all is said and done it's time for me to stop talking about NYFW and start living it! Be sure to check out my instagram this week for updates and sneak peeks! Will be back soon to update you on all the fun. . .